Paying too much for your cell phone plan? We've made it simple to compare hundreds of plans in Canada. Find the one that's best for you. Choosing a cell phone plan can be confusing. Carriers often display plans on separate pages, use fancy terms, or bury hidden costs in their terms of service. 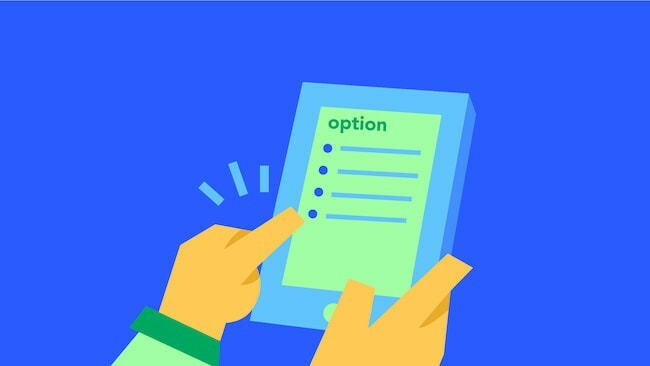 Our plan comparison tool takes the guesswork out of finding the best deal, but how do you know which plan is the best plan for your needs? And what should you look for? Most mobile phone plans share a number of similar options, including an allotment of minutes, data, and SMS messages. They’ll often also include a set of common calling features, such as voicemail, caller ID, group calling, and call waiting. But what about everything else? What makes one plan better for you than another? This guide answers all the important questions you might have. The type of plan you choose will determine both when you pay for service and how you are billed. One plan type isn’t automatically better than the other. Each option offers unique strengths and weaknesses you should consider to find the best fit for you. It all depends on what you need in a plan and your financial situation. As the name suggests, with prepaid service, you pay in advance for the features you want to use. While you’ll still likely pay more for prepaid than monthly services, it’s not as expensive as it once was. Prepaid services often offer smaller data allowances than monthly plans. Adding extra data to your allotment is often more expensive as well. Some prepaid carriers do not let you use your phone while travelling either. However, if you have an unlocked phone, you can pick up a different prepaid SIM to use at your destination. You can either you either pay upfront for an allotment of minutes, data, and messages -- often on a monthly basis -- or you can buy credits that are added to your account. With credit-based prepaid plans, you spend credits each time you place a call, send or receive a message, or use data. This is also known as Pay-As-You-Go (PAYG) phone service. The allotment based plans are known as bundles or bundle plans. These include a set amount of minutes, data, and message for a flat rate. How you use your phone will determine which type of prepaid service is best for you. Bundles often feature lower per-feature prices compared to credit-based plans. However, your minutes, data, and messages also expire at the end of your billing cycle if you don’t use them. If you don’t use all your minutes, data, and messages, you’ve paid less for the features, but you’ve also paid for features you didn’t use. Pay-as-you-go rates are often higher on a per-feature or per-credit basis, but they rarely expire as long as you add credits to your account regularly. For light users, this is often a better option as you’re not paying for things you do not use. This is the standard type of plan offered by most major carriers. You use your phone and they bill you each month. 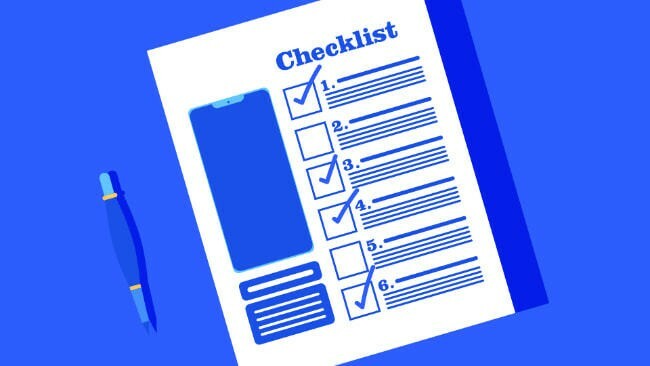 If you go over the minutes, texts or data included with your plan -- or use services not included with your monthly plan -- the additional usage is tacked onto the next bill. A few years ago, monthly billing was the way to go for most. However, smaller carriers and prepaid providers have improved service and prices since then making the choice less clear. Multi-line discounts: Most major carriers offer substantial discounts for having more than one line (one phone number) on an account. This makes getting a phone for the whole family much more affordable. Larger/Unlimited data packages: Unlimited data and larger data pools are often only offered on monthly plans. These are ideal if you’re not within range of Wi-Fi often or like to stream music, movies, or TV shows to your mobile device. The biggest downside to monthly billing is that it often requires a credit check and contract. If you don’t have great credit, you’ll face a hefty deposit to get started. While most carriers offer refunds on your deposit, the terms are often incredibly specific. One late payment and you could lose your deposit. Recently, new carriers have popped up that blur the lines between prepaid and monthly billing. These carriers measure your usage and bill you at the end of the month, but you’re not locked into a specific rate plan or features. Ting’s rate calculator is a great example of how these types of plans work. Hybrid plans blend many of the pros and cons of monthly and prepaid billing. They’re great to keep costs low if you don’t use your phone often. But... if you’re a heavy data user, you may pay more than you would on a traditional monthly billing plan. Another thing to keep in mind is that many hybrid plans don’t offer the flexibility for roaming or the wide range of add-ons you’ll find with monthly billing plans. Most carriers offer shiny new phones at a discount or let you bring a phone you already own, assuming it’s compatible. But whether you buy a new phone or not could impact your plan choices. So considering the best approach is essential to getting the best value for your new service plan. Don’t Need a New Phone or Want to Bring Your Own? While most carriers might not make it obvious, many offer plans that allow you to use your own phone with their service. These are known as SIM-only or Bring Your Own Device (BYOD) plans. SIM-Only plans don’t include device financing or subsidies. So you’re on your own to buy an unlocked phone to use with the service find an unlocked phone -- be that from your carrier, online, or at your favorite electronics retailer. The advantage to SIM-Only plans are that they are often priced lower than prepaid or monthly plans that include a phone. SIM-only plans are available in both monthly and prepaid payment types, allowing you to pick the payment type you prefer. However, depending on the carrier you choose, they may still require a credit check and contract to establish service. If you’ve seen ads online or on television offering you the latest smartphone for next to nothing, you’ve seen phone discounts -- or phone subsidies -- in action. Essentially, the carrier offers you a substantial discount on a new phone. In return, you agree to stick with that carrier for up to two years. If you cancel before that -- or can’t pay your bill -- they’ll recover their subsidy with an early termination fee. While this seems like a good deal, in most cases, you’ll get better prices and enjoy greater flexibility if you buy your phone upfront. If you must use a subsidy to get your phone, ALWAYS check the terms. If they add interest to the cost of the phone or tack on additional financing fees, do the math and be sure you’re getting a good deal. Phone leasing is a relatively new concept with carriers but works very similar to how it works with cars. You pay each month for your phone just like if you had financed it. Most leases have one- or two-year terms. At the end of your term, you can return it to the carrier for a discount on a new leased device or pay a reduced lump sum to keep it based on how much you paid toward the phone’s price during your lease. Many carriers use different names for their phone leasing programs. But take a minute to read the terms of the contract -- it’s still just a lease program in disguise. Lease terms vary depending on the carrier but most require you to keep the phone in like-new condition in order to trade it back in. Some carriers include phone insurance with your lease fees, others don’t. So read the fine print to understand the true risks and costs of your phone lease or early upgrade agreement. Regardless of the carrier, unless you upgrade every time a new phone is released, you’ll probably save money over the long-term by purchasing a device outright. Related Guide: Buy, Lease or Finance a Smartphone: What’s the Best Way to Pay for Your Next Phone? So now that you understand the different options, which should you choose? It will mostly depend on the number of phones you need and your budget. If you only need a single line of service, we recommend buying your phone outright. You’ll spend a bit more upfront over taking a discount or financing, but spend far less in the end due to cheaper plans and more flexibility. If your budget doesn’t allow that shiny new model of phone you have your eyes on, buying an older model upfront and pairing it with a SIM-only plan can reduce your upfront costs significantly while giving you access to a capable smartphone. While today’s high-end releases are super powerful and sleek looking, the high-end phones from a year or two ago will still suit the needs of the average person. Buying multiple high-end phones upfront is out of the question for the budgets of many buyers. In these cases, subsidizing or leasing a phone from your carrier are likely the best approaches. 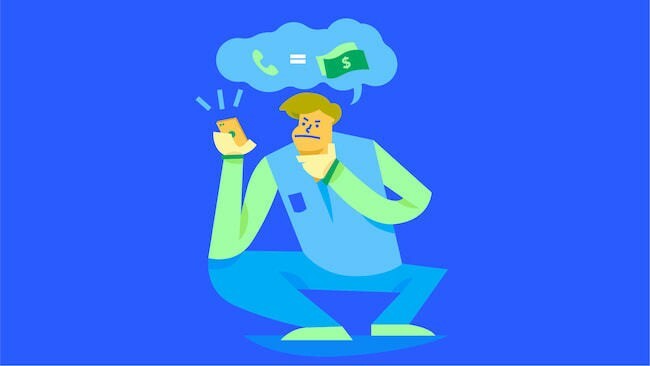 Should the phone take a dip in the pool or smash to the ground, you might be left on the hook for both the price of the phone and the monthly service fees for the rest of your contract term. In the early days of mobile phones, carrier coverage didn’t overlap much. This meant that you had only one or two options in your area for mobile phone service. These days as carriers expand networks, offer coast-to-coast coverage, and use deals with other carriers to offer service around the world, the number of options you have to choose from might feel intimidating. By looking at a few important factors, you can begin to limit your options and find the best deals in your area. Many smaller carriers are what’s known as mobile virtual network operators or MVNOs -- though there are a few small regional carriers left as well. MVNO’s typically use the same networks as the big carriers. They just lease access to the network and resell it to you. There are even some MVNO’s which are owned by the major carrier. So, in most cases, coverage is similar to what you’ll find with the bigger names. The biggest downside to smaller carriers is that you’ll often find fewer phone options in their stores and limited customer support options. Some smaller carriers use email or online forums while others only allow phone support. Also, depending on the network that the carrier uses, you might also see slower data speeds than major carriers in your region. If these differences are important to you, a big carrier might be the best choice. However, for many, smaller carriers offer substantial savings and comparable service quality. There’s nothing more frustrating than missing calls and messages or having to find that magic corner on the second floor of your home or office to send a text. You want a carrier that offers solid coverage in the areas you frequent. But how do you know which carriers work best near you? One way is by checking the coverage maps offered by carriers. These offer a general idea of what you can expect but keep in mind that these maps only estimations based on readings in nearby areas. Just because their map says you should have great service doesn’t guarantee you will. From thick walls to network congestion there are endless factors these maps can’t account for. Instead, we recommend checking one of the third-party coverage maps -- such as OpenSignal or RootMetrics. Better still, you can check with friends or ask in local social media groups about which carriers they use and any problems they might have with coverage. By checking a few different sources, you can see if service might be inconsistent in your area. Even if you’re confident in your tech abilities, there’s a good chance you’ll need help with your phone or account from time to time. When this happens, not having support available could be the difference between a quick resolution and a frustrating few days without your phone. Many smaller carriers and low-cost carriers have limited support options. At a minimum, we recommend choosing a provider that at least offers real-time chat support. This means you can resolve issues quickly and not have to wait for replies to emails or sift through hundreds of forum posts trying to find an answer. If you expect you’ll have questions or need help with your phone or service, we highly recommend choosing a carrier with telephone support (preferably toll-free) and, ideally, with a retail store in your area. This means you can skip the hassle of waiting on hold or trying to explain your issue through chat and swing by the store instead. Tip: Check out our carrier summaries to compare the support options offered by the carriers in your area. Group and family plans are one of the easiest ways to save on your monthly mobile bill. In many cases, the people on the plan don’t even need to live at the same address. This makes it easy to add kids in college, elderly parents, or even a trusted friend or coworker to your plan and split the costs of your phone service. Shared allotments: With these group plans, everyone’s use comes out of the same pool of minutes, texts and data. This is ideal in family situations where some people might use a lot of one feature and others very little. For example, your kids love to text with their friends and stream video but you might just want a phone to make calls with. With a shared plan, they’re not sitting with wasted minutes on their plan, and you’re not required to keep a ton of data you’ll never use. Everyone shares the same set of features. Per-line data: With these plans, each line often shares a pool of texts and voice minutes but has an individual data bucket. These plans are useful if you use little data or want better control over how much data each person can use. In most cases, group plans offer better discounts for each line you add. If you only need two lines, you might save money with individual lines through a prepaid provider. Prepaid plans are often cheaper than monthly plans and the group plan discounts for two lines are often very small. 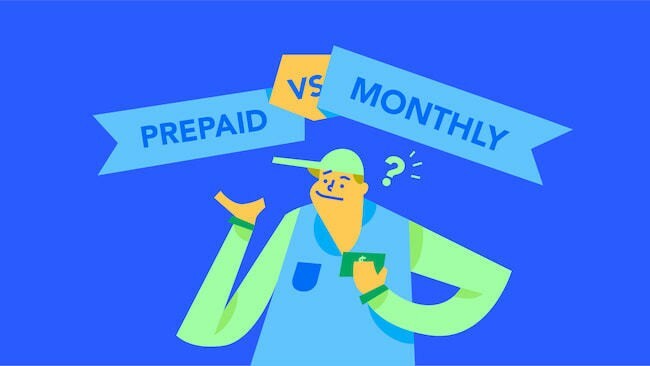 So with a bit of shopping around and comparing plan options, you might be able to find a cheaper prepaid service than the monthly group plan will cost. However, for three or more lines, group plans are almost always the most affordable and flexible option available. 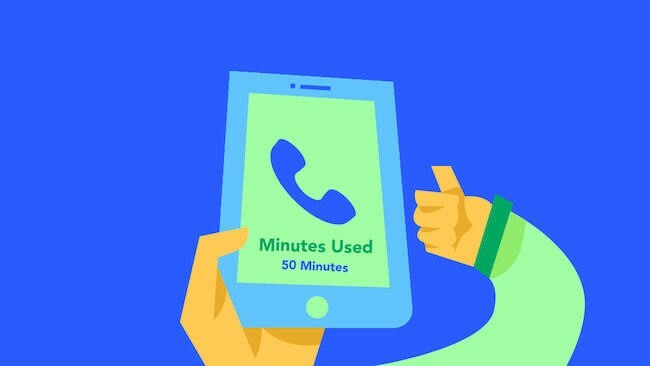 If you plan to use your phone regularly to make or receive calls, you’ll want to make sure you have enough minutes to use your phone without worry. If you already have service through another provider, check your past three bills to see how many minutes you used. This should give you an idea of what to look for with a new service provider. If you’re new to mobile phones, choose an option that seems slightly more than what you might need. In most cases, you can downgrade your minutes later if you’re not using them. And paying for a slightly higher plan is often cheaper than paying for any amount of overages. If you plan to talk a lot -- or have kids who love to talk on your plan -- consider an unlimited talk plan. Then you’ll have zero worries when the bill rolls in. With prepaid phones, using all of your minutes -- or credits in the case of pay-as-you-go -- could mean you’re unable to use the calling, messaging, and data features of your phone until you add more credits to your plan or renew at the end of your billing cycle. On monthly plans, you’ll likely switch to per-minute billing if you use your monthly allotment. This can result in a scary surprise when the next bill rolls in. Even if the carrier adds minutes in bundles, they’re likely at a higher rate than if you had signed up for a higher tier plan to begin with. How calls are billed varies by the plan and carrier. If you’re only calling in your local area, you should have no worries regardless of the plan you choose. However, if you’re calling friends and family on the other side of the country or abroad, you’ll want to look at the carrier’s calling terms. Many carriers now include nationwide calling as a basic feature on most plans. If the plan you’re considering doesn’t include it, check the add-ons or bundles to see if you can add it for a reasonable fee. Even an hour of long distance calling will exceed the cost of the monthly add-on for most carriers. Virtually every carrier charges additional fees for long distance international calls. If you plan to call abroad often, choose a carrier with a flat-rate international calling plan. These include a set amount of minutes and texts to a specific country or set of countries at a substantial discount over the regular per-minute rates. Just keep in mind that if you don’t use all of your monthly minutes, you’ll likely lose them at the end of your billing cycle. Most major carriers now offer nationwide coverage and service but some smaller or regional carriers still use calling zones to determine how to bill your call. If you’re making calls from your home area, there isn’t much to worry about. However, if you travel often you’ll want to check the terms of service. You can find the roaming details for each carrier in our carrier summaries. If your travels take you outside the country, you’ll also want to consider international roaming fees. Many carriers charge extra fees for using your phone service in other countries. And although some carriers automatically suspend roaming service after you reach a certain bill amount, these limits are still high enough to stress the budgets of the average person. We recommend choosing a carrier that offers flat-rate travel passes in regions you frequently visit. These allow you to either use your standard allotment of minutes, texts and data or give you a dedicated allotment for use while you travel. You can also consider a travel SIM or pick up a prepaid SIM when you reach your destination. NOTE: Some prepaid carriers do not support international roaming. In this case, you’d be without service while traveling unless you swap out your existing SIM for a travel SIM or pick up a prepaid SIM that offers service in the area you’re visiting. Mobile data use continues to rise as more people use smartphones and network speeds improve. If you’re looking to keep your phone costs manageable each month and enjoying your mobile phone to its fullest, choosing the appropriate data plan is essential. But before we talk about how much data you might need, let’s look at the different network types and data speeds available. This will provide an idea of what you can do with the data included in your plan. 2G, 3G, 4G, LTE, 5G: What’s the Deal with Data? These labels all refer to the type of network the carrier uses. While the specifics of how they work aren’t important, they can give you an idea of what to expect when using your mobile data. 2G: Basic data, mostly good for voice calls and text messages. Not compatible with streaming or browsing the web. Most carriers are slowly phasing out their 2G networks. 3G: As the replacement to 2G, this network is slower than 4G but still fast enough for basic internet use and light streaming. It is more common outside urban areas. 4G: Faster than 3G, these networks can stream HD video or audio and work similar to a home or business broadband connection. These networks are common in urban areas though carriers are adding 4G coverage in rural regions rapidly. 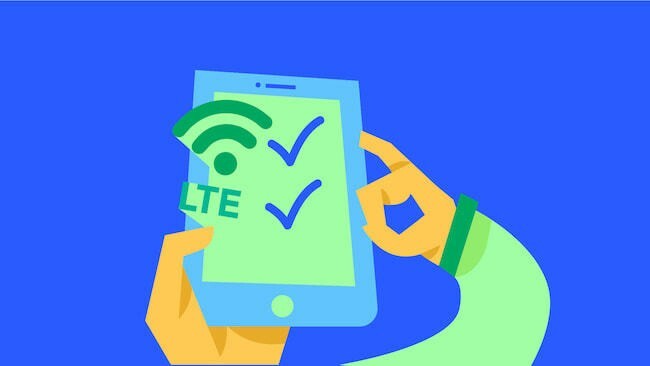 LTE: As the next stage of 4G, LTE offers yet another speed boost and improved reception on congested networks or in densely populated areas. 5G: While still in its early stages, this will be the replacement for 4G LTE in the coming years. It offers further speed boosts, lower latency, and improved indoor reception. However, at the time of writing, there are very few 5G networks in operation. Real-world usage will vary based on your phone model, location, network congestion, and other factors. For a better idea of what to expect regarding network speeds in your area, we suggest consulting OpenSignal. Their data comes from real people using their app in your area instead of estimates. This means it should line up well with the speeds you will experience. Much like minutes, the amount of data needed will vary from person to person. In general, the more you use your phone for things other than calling or texting, the more data you’ll need. Also, while faster mobile speeds provide better video quality and more options in how you use your phone on the go, it also means you can use data -- and potentially rack up hefty overage fees -- quicker as well. As one of the most expensive parts of the typical mobile phone bill -- especially if you exceed your data allowance -- this is one of the most important considerations when choosing a plan. Most data plans are measured in gigabytes. One gigabyte (GB) equals approximately 1000 megabytes (MB). As you can see, how you use your phone vastly changes what you can do with a set amount of data. In most cases, if you plan to use any data at all, we recommend opting for at least 1GB of data. While some carriers offer data packages with less data, it’s often only a slight savings over the 1GB plan. If you use apps, social media or email frequently, we recommend at least 2GB. Want to stream music or video or play games? We advise at least 4GB. However, with the return of unlimited plans and carriers that don’t count video or music streaming toward your data usage, you might find that one of these plans offers better savings. You can find out more information in our mobile data guide. In most cases, unlimited plans aren’t actually unlimited. So, while these plans are making a comeback, be sure to check the fine print. Typically, these plans include a cap -- somewhere around 20 to 30GB -- where speeds can be throttled if the mobile network is congested. Note the “can” in their wording… it might not happen, but from reading reviews around the Internet, most times it does. And even if you use 50GB with no problems for a year, you might experience throttling in the future as network congestion increases in your area. Worse still, most throttled speeds are too slow for anything but basic email use and sending texts. Some carriers also reduce the quality of streaming audio and video to help save bandwidth on unlimited plans. 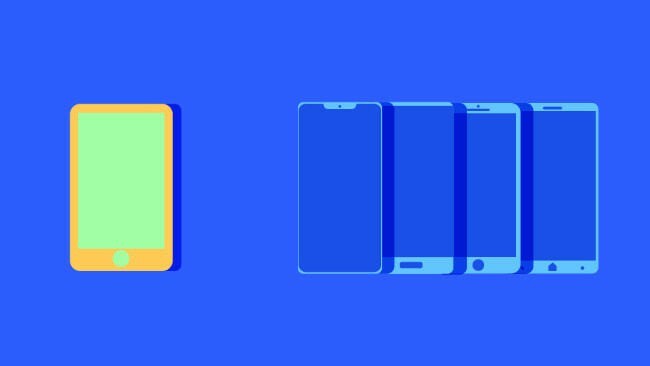 While this won’t impact your experience much on a smaller phone, you might notice the difference if you’re using a high-end phone with a large screen or streaming on your tablet. 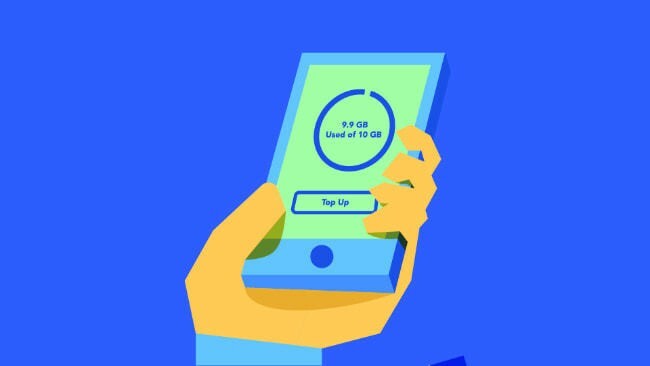 If you’re hoping to share your mobile data connection with other devices using your phone’s mobile hotspot feature, some unlimited plans specify how much data you can share using tethering or block the feature completely. This feature allows your phone to act as a mobile Wi-Fi hotspot. This means you can use your mobile data connection on your tablet, laptop, or any other Wi-Fi enabled device. Whether you need tethering will depend on your typical usage. However, it is handy to have if your home Internet connection goes out, you’re working on the road, or you're planning to travel and won’t have access to Wi-Fi. Keep in mind that unless you’re tethering with another phone, you’ll use data quicker than normal. When tethering on a small data plan, be sure to watch your usage closely to avoid additional fees. Carrier support for tethering varies. Most that support it don’t charge extra to enable the feature. However, there are sometimes limits to data speeds or allotments when tethering. You can find the full details on tethering for each carrier in our carrier reviews. As with calling, most carriers offer data service nationwide. However, fees for international data usage are one of the leading causes of bill shock. Data roaming fees often start at dollars per megabyte. This is particularly true of cruise ships where carriers might charge as much as $10 or $15 PER MB. This means checking your Facebook feed or watching a cute cat video could cost you hundreds of dollars. 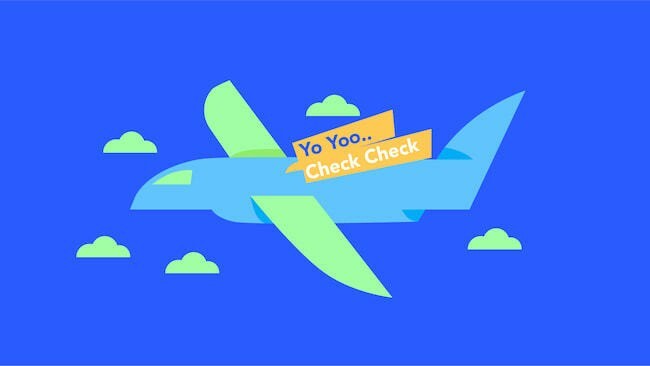 If you’re planning to use data while traveling, be sure to check for flat-rate add-ons or consider getting a travel SIM or prepaid SIM at your destination. If you live in an area with poor coverage or frequently spend time in areas prone to signal issues -- such as basement offices or dense urban areas -- Wi-Fi calling can provide a reliable signal when mobile coverage cannot. Both VoLTE and Wi-Fi calling also promise clearer audio when calling with less compression and distortion. But check the carrier’s terms first. Many carriers still bill you for minutes and texts over Wi-Fi. So the features are not a way to save money on your bill. If you have a bandwidth limit on your wireless network, this means your phone could cost you twice -- especially if your carrier makes it hard to switch between Wi-Fi calling and traditional mobile networks. Some carriers also cannot transfer calls from Wi-Fi to mobile networks seamlessly. If you’re talking and leave the range of your router, your call might drop. While it’s far from a deal-breaking consideration, it might frustrate you if you have a weak Wi-Fi signal or frequently talk while on the go. Many carriers attempt to attract customers by adding exclusive perks or “free” services along with their phone service. This can range from discounts on movies, concerts, and other entertainment to free access to popular streaming services. While these deals are legitimate, consider what they’re worth to you before you sign up for service. If you don’t use a service often, then you might have found a better deal elsewhere. Not to mention that while the service provider might call the service free, the cost is likely hidden in your bill somewhere. Most carriers offer a range of additional services you can add to your service plan. Whether they are worth it for you depends on your preferences. In our opinion, insurance isn’t worth it. Back in the days of flip phones and Nokia candy bar phones, phone insurance plans made sense. You paid a couple dollars a month and if your phone took a swim or hit the ground a little too hard, you phoned up your carrier and they shipped out a replacement for next to nothing. These days, when a flagship phone retails for nearly $1000, carrier’s can’t afford to just hand you a new phone. What’s worse is that they often then mail you a refurbished replacement, not a brand new phone. But let’s be honest, $200 to $350 for a deductible still isn’t exactly budget friendly for most of us. Especially after paying for phone service and insurance every month. Instead of opting for insurance, we suggest picking up a good case, like an OtterBox, and stashing a little money away each month in case your phone breaks. TIP: If you need a phone with built-in protection, rugged phone options have improved greatly in recent years. There are even smartphone models with infrared cameras and other advanced features. This means you can take your phone to the construction site or go hiking without worrying about drops, water, or dust. Some carriers offer roadside assistance as an add-on but the value of the service is a matter of preference. Should you ever need to use it, there’s a good chance it will pay for itself in only one or two uses. Don’t use it and it’s money you could spend elsewhere. However, be sure to check prices and what services are provided. Also check to see that you don’t already have roadside assistance through your car insurance, a credit card, or a club membership. Before the glorious era of Netflix, Hulu, Spotify, Pandora, and other streaming sites, carriers tried to entice subscribers into subscribing to streaming video and music services to enjoy their favorite media on the go. These days, they’re often more expensive than the more popular standalone services while offering less content. And, in most cases, you can only access the service on your phone or tablet. One key difference is if you’d like to watch live TV. Many carriers are TV service providers too. So they’ll add live channels to their phone streaming services. However, with services like Playstation Vue, Sling TV, and DirecTV NOW, gaining popularity their advantage is dwindling. But the biggest consideration when deciding if you want streaming add-ons -- unless you’re on an unlimited plan -- is Wi-Fi availability. Streaming video apps chew through data. So you’re paying for a service to access the shows, then paying again with your data allotment to watch them. If you don’t have regular access to Wi-Fi where you typically use your phone, we recommend passing. The one exception to this is carriers that offer promotions in partnership with bigger companies like Netflix or Spotify. It’s not uncommon to see carriers offer new lines with a few months of service with one of these popular streaming services included. And you can use the service on all of your devices -- not just your phone. 1. Can I share my phone’s data with other devices on my plan? This depends on your plan. Some use a shared data pool while others track data usage per line. In most cases, shared data pools offer the greatest flexibility. However, with tablets, some carriers will allow you to add them to your plan for a small fee and share your data with them. 2. What happens if I can’t pay my bill? If you have a prepaid plan and run out of credits or use up your monthly allotment of minutes and data early, you will probably find that your phone no longer works. For plans with free incoming calls, you could still receive calls but not place them. If you have a monthly plan and cannot pay your bill, your carrier will typically start by trying to contact you. Within a few days, they’ll often cut off service entirely. If you’re on a contract, they’ll start with collections calls. But they will eventually close your account -- typically within one to three months. Once happens, you could face an early termination fee and the carrier will likely report your non-payment to the credit bureaus. However, in most cases, should you need to contact emergency services, your phone should still work. Many phones can still contact emergency services even without a SIM. 3. What are early upgrade plans? Early upgrade plans are one of the latest marketing tools used by carriers. In essence, they’re phone lease plans with all the same terms and conditions. They just don’t use the word lease because some people don’t like it. You make payments on your phone and after a set period, you can trade it in to upgrade to the latest model. In many cases, the term is set at 12 to 24 months. 4. What is the best phone plan available? The best phone plan is the one that fits your needs, offers coverage where you need it, and does so at the lowest price possible. As such, there isn’t a single plan we’d recommend for everyone. However, our cell plans comparison tool is an easy way to compare options from leading carriers based on a range of features and prices. 5. Which cell phone companies are best? The answer to this is subjective and changes often. If you’re looking for an idea of what to expect from a carrier, check our carrier reviews. We list information from the Better Business Bureau, recent awards, speed ratings, and more to give you an overview of what reviewers and experts think of the company. You can also read reviews submitted by the community to see what others have to say about their services. 6. Who has the best coverage? Coverage varies based on location and provider. It can even change based on the phone you’re using. If you’d like an idea of what to expect, you’ll find links to coverage maps on our carrier listings. 7. Do all carriers require contracts? In most cases, carriers do not require contracts for prepaid service. Some also will not require them for monthly service -- particularly BYOD or SIM-only plans. However, the best way to check is to contact the carrier or check our cell phone company reviews. 8. How can I get out of my existing contract? Depending on the terms of your contract and deals offered by other providers, you might get out of your contract early without spending a ton of money. For more information, consult our guide on getting out of your phone contract. 9. If I buy a phone with my plan, can I use it with another carrier? This depends on the device and carrier. If your carrier sells unlocked phones, you can use them on any network using the same frequencies supported by your phone. Some carriers lock the phones they sell to their network. This means it won’t work with other carriers regardless of compatibility. If you pay upfront for the phone, many carriers will unlock it immediately. However, if you finance, lease, or receive a discount on your device, your carrier might not unlock it for use with another carrier until you meet their terms. These terms vary from maintaining service for 90 days to paying off the remaining balance on your phone. There might be a small unlocking fee but most carriers have waived these fees in recent years. Third-party unlocking services and tools might prove useful if your carrier will not unlock your phone. 10. Can I get phone service if I have bad credit? Yes. Many prepaid carriers provide service without a credit check. However, if you’d prefer a monthly account, our guide to getting a cell phone plan with bad credit covers a few common tips and tricks -- including finding a co-signer and using group plans -- that might help you avoid a hefty deposit. 11. How does getting phone service affect my credit? If you are late paying your bill -- or they close your account for non-payment -- it will definitely have a negative impact on your credit report. While many experts agree that mobile phone service should work like other bills to influence your credit positively when you make prompt payments and keep your account in good standing, this is not the case in most areas. For more information, check our guide on how cell phones affect credit scores. 12. Some plans offer free gifts? Are they worth it? This depends on the gift in question. If it is something you will use or is valuable, then it might be worth considering. However, nothing is ever truly free. There’s a good chance the gift comes with a lengthy contract. Carriers might also require you to agree to a high-end service plan to qualify. For cashback and rebate offers, you’ll often need to wait an extended period and follow a very specific list of instructions to claim your rebate or cashback deal. Even then, it will likely arrive as a prepaid card. Some of the worst deals add credit to your phone account or give you store credit. So while they technically honored your rebate, you can only spend it with the carrier. In the case of device gifts -- such as smartwatches, tablets, or additional phones -- check the model of the device and its value to get an idea of how good the deal might be. If a carrier is offering a free iPad with service that is a very different deal than offering a free Amazon Fire. 13. 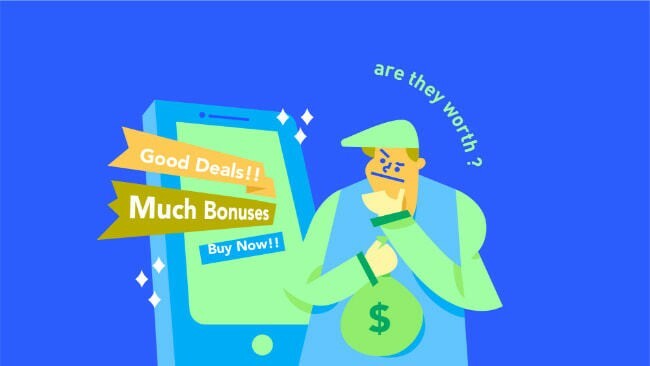 What about cashback offers? Are they good deals? While there are legitimate cashback deals out there, most are designed to be difficult to complete. 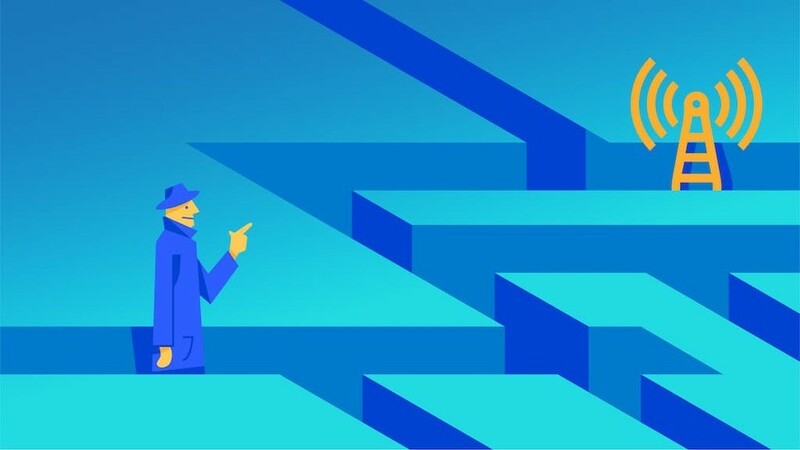 From complicated steps requiring multiple pieces of information to confusing deadlines, there are often endless ways for them to deny your claim. And after they’ve denied your claim, you’re still on the hook for your contract or phone financing. If you’re considering a cashback deal, be sure to do your research to avoid any trouble. 14. Can I keep my existing number if I get a new plan? As long as the original account is in good standing and the old provider offers service in your area, you can typically transfer your number to a new provider in as little as a few hours. In most cases, getting started involves talking to your new carrier. They’ll handle everything else after you provide the required information. Just keep in mind that once your number transfers, your old account will likely close. This could leave you with unexpected fees if the account was still under contract. Choosing the best cell phone plan is all about knowing what you need and what you can afford. By knowing what features you need, you can find a plan that is the perfect mix of utility and value -- and avoid costly charges when you run over your allotments by the end of the month. We hope this guide helps to clear up questions you might have about choosing a phone plan. Now that you know exactly what you need in a phone plan, it’s time to find the best choices for your needs and budget. Our plan comparison tool makes it simple to search by carrier, price, plan features, minute allotments, data allotments, and more to highlight ideal options. You can even compare them side-by-side to see how multiple plans stack up. All without having to juggle a bunch of tabs or spend hours researching and doing the math yourself. Should I sign a contract or go SIM-only? There are perks to both arrangements. Contracts limit your ability to switch carriers, restrict unlocking your phone for travel and often cost a little more in the big picture. However, you can typically score a nice phone for little to no upfront cost or enjoy a substantial discount on the latest flagship devices. SIM-only will require more money upfront if you don’t already own a phone. However, you are often free to switch providers or devices as you wish without worrying about termination fees. Be sure to check that your handset is compatible with the carrier you intend to use. This is particularly important in regards to 3G and 4G networks. Not sure about the different options? Try our handy comparison tool to help you find the best plan. How much smartphone data do I need? While the specific amount of data you need will depend on how you use your phone, research indicates that the average user goes through anywhere from 800-megabytes to 1.3-gigabytes of data a month. Anything requiring video uses more data. A couple YouTube videos might use as much data as a week of emails. In most cases, you’ll want to start with AT LEAST 500-megabytes. Then just monitor your usage and adjust to suit your needs. We offer a comprehensive guide to determining how much data you need as well as tips for reducing your data usage if you’re already locked into a plan but want to make the most of your data allowance. In nearly every case, upgrading your data package through your carrier is cheaper than paying even one overage fee. Be sure to keep an eye on usage to maximize savings. What’s the best plan for emergency use? If you’re looking for basic communications in the event of an emergency, a prepaid standard mobile phone is often your best bet. By getting rid of the bells and whistles of a smartphone, you can count on exceptional battery life. You also can pick up a prepaid plan that doesn’t include data to make topping up your phone affordable. Most prepaid carriers require you to add minutes at regular intervals to maintain service. Check with your prepaid carrier to see if they offer any long-term minute options. While these minutes often cost a little more upfront, they will remain active for as long as one year (specifics vary by carrier) resulting in a lower cost overall. How long of a contract should I sign? If you have the money to pay for your device upfront, there is an argument to be made that you shouldn’t sign a contract at all. However, for many, subsidized phones are the only option for picking up a new device. In this case, consider how long you plan to live in your current location. If you’re intending to relocate, consider coverage at your intended destination as well. Most contracts do not make exceptions for relocation unless it is for military deployment. Also consider the impact on your subsidized phone payments. Longer contracts might offer a lower monthly payment on your subsidized phone, but the additional fees for your device could end up costing more than buying the phone outright. Find a balance that fits your budget with as few payments as possible to minimize extra expenses. So which cell plan should I pick? This will depend on your intended usage. However, there are a few things to keep in mind. You’ll probably use less minutes that you think you need. With rise of smartphones, email, text messaging and voice chat apps, we just don’t place as many calls as we once did. Plan to text regularly? Unlimited texting is almost always cheaper than per-text rates--even for just a few hundred messages. Have family or friends out of town? Get a plan that includes Canada-wide calling. Even inbound calls can add up quickly when talking often out of your home calling area. Always start by overestimating slightly. You can always readjust your plan later. Overage fees add up fast. Better to slightly overpay in the beginning than be shocked when the bill arrives. Once you’ve used your phone for a month or two, be sure to check out our guide on cutting your monthly bill for more tips and tricks for optimizing your costs and usage. Why should I compare cell phone plans with The Informr? We take the confusion out of picking a mobile plan. Our tool compares plans from all the major carriers, allowing you to find the best options easily and quickly. With our unbiased, objective summaries, you’ll know exactly what to expect with your new service. Best of all, this costs you absolutely nothing. All of our tools, guides and summaries are free!